Alternative fashion doesn’t just stop at bold and statement making outerwear. 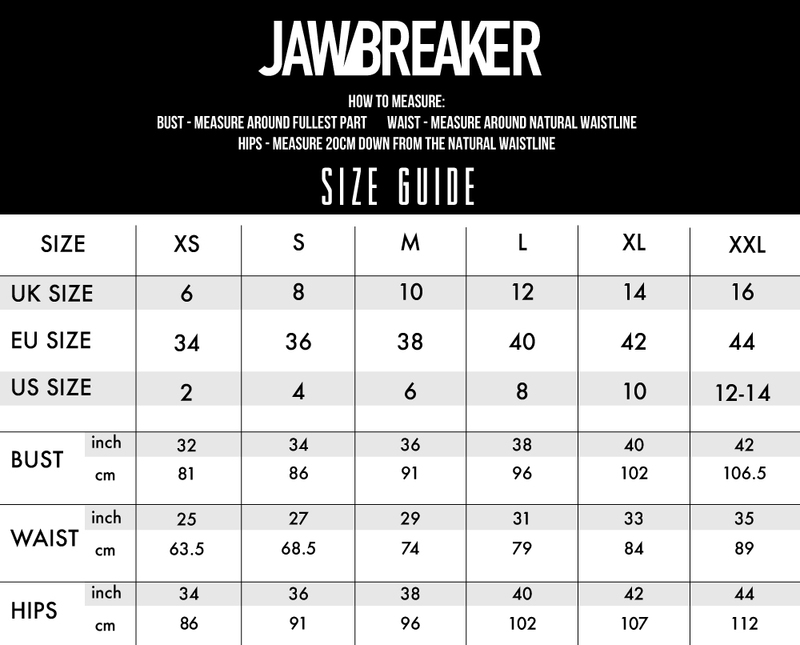 We bring the same gorgeous alternative edge to our Jawbreaker lingerie. Our No Evil underwear features a classic JB style print with a lace trim for a dark and alluring look. Love the Print? Check out the rest of our lingerie line!